As leading women in the community, we typically run around with our hair on fire – juggling career, family, lifestyle and anything else comes up while we are changing the world! 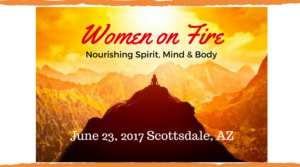 The Women on Fire conference provides education, inspiration and refreshes our soul. Participants walk away with information, tools & useful resources to live a more joyous and balanced life. The day is formatted in a casual “come as you are” healthful manner. Stretch Yoga at 7:30am for anyone interested, followed by a healthy continental breakfast. Our engaging program starts at 9am with leading experts in nutrition, safety, fashion, inspiration, intuition and impacting our community & world! Receive convenient information from each speaker to take with you. Enjoy exciting designer giveaways throughout the conference. PLUS, no nourishing women’s conference would be complete without SHOPPING!!! 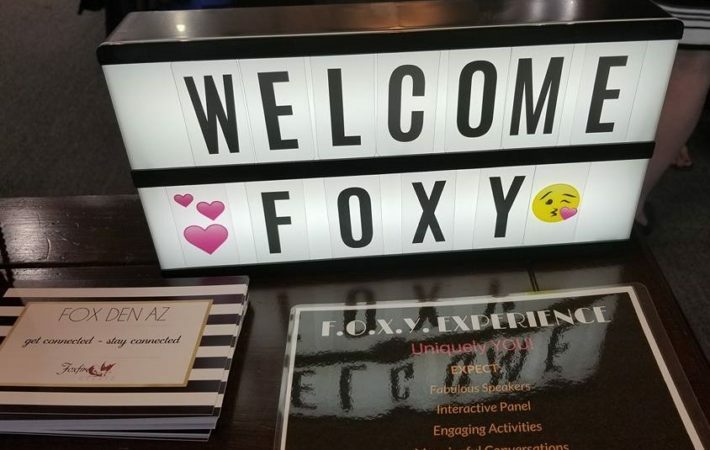 Visit our unique vendors who provide products, services and resources to make life easier, more efficient, fashionable and FUN! *Dress is Yoga/fitness casual so wear your most comfy clothes. *Please bring a yoga mat or beach towel if you are participating in the yoga session. * Healthy continental breakfast is at 8am & will be removed at 9am so please plan accordingly. *Shopping with our vendors is before & after the conference & there are some GREAT finds so plan to arrive as early as 7am and stay as late as 2pm! Take this poll to find out! Ever feel like you’re running with your hair on fire juggling a million tasks? Many of us do – we’re women on fire changing the world! Are you in the midst of building a successful business, lifestyle and/or domestic empire? 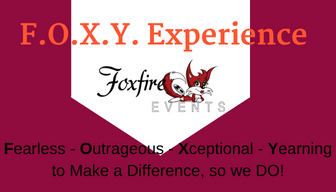 Many of the women at the Women on Fire conference are just like you! Have you ever felt overwhelmed and wondered if it’s just you? It’s not! Come learn more & how to get rid of the overwhelm! Has it been more than 1 year since you’ve taken a week’s vacation (without working!)? Girl… we need to help you change that! When on an airplane they say, “in case of an emergency put your own oxygen mask on before putting on your kids”. Have you ever pondered if you’d really do it in that order? Please follow it if it happens – it IS important! Ever wish you (or your kids) were born with a user’s manual? If only… thankful we have great experts to teach us! Would you like to learn HOW to combat pain, struggle or fear in daily life? The Center for Intuitive Development founder Lynn M. Bunch shares how. Ever wonder exactly what to eat to maintain a healthy lifestyle – while on the go? Honor Health Registered Dietitian Terri Taylor has answers. Ever wonder what yoga is, why it’s useful or how each pose benefits your health? Learn more at our yoga stretch session! Ever wonder what it would be like to run away & travel the world for a while? Dreamprenuer Traci Bogan of Traci Bogan Worldwide did & shares her experiences! Do you wish you were taught to nourish yourself better at a young age? We do! That’s why we offer discounted tickets for ages 13-25, bring them with you! Have you ever said, “there isn’t enough time in the day”? Haven’t we all?! Learn tips on how to better utilize it! Do you feel like you could use more girl time? Or some new girlfriends? 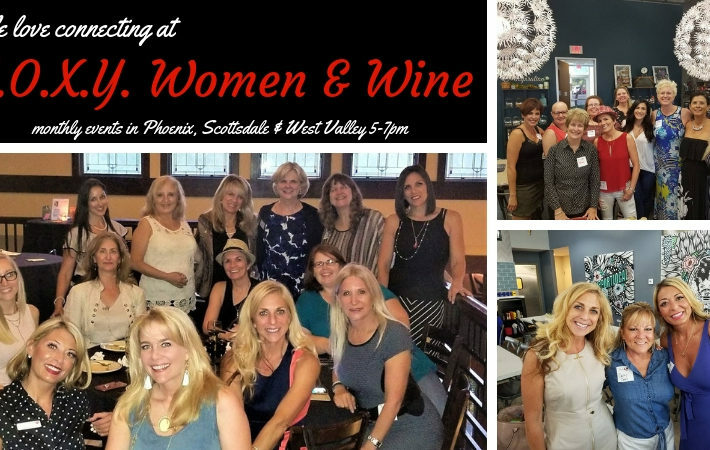 Women on Fire is a great place to meet like minded women! Could YOUR spirit, mind or body use some nourishing? Ours can too! It’s why we created the conference! JOIN US June 23rd to do just that! 1-3 Really?! Were you being honest?! LOL! Although we suspect you’re a fiery woman you seem to have a pretty good handle on nourishing yourself. Congrats! 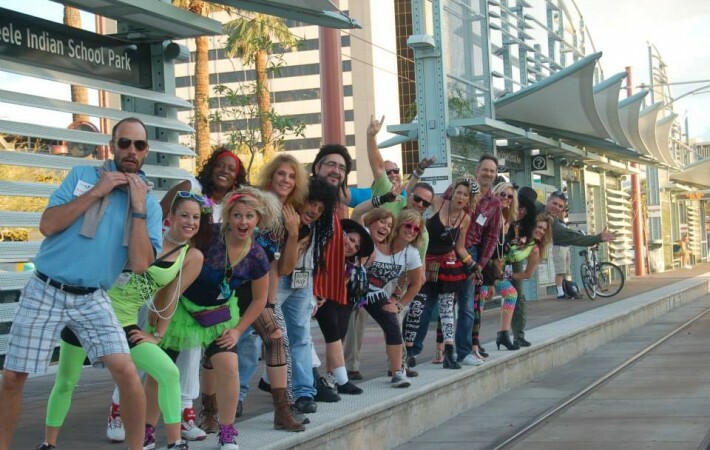 We think you’ll be in your element at this conference! 4-6 Feelin’ HOT! Hot! HOT! We suspect you have implemented or are implementing things in your life to nourish yourself! Keep up the good work! I’m sure you agree that there is room for improvement and we’d love to share some simple solutions with you to keep you moving on the right track! We invite you to join us! 7 + Girl you’re an INFERNO! ON FIRE is putting it mildly and you are in good company! 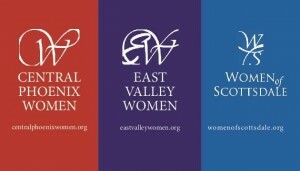 Most women we know land here and it’s because we ARE the movers & shakers in our communities and have a strong desire to leave a lasting impact on our communities, families & world. There is NOTHING wrong with any of this… as long as we take time to NOURISH ourselves. A nourished Spirit, Mind & Body actually leads to increased productivity, metal clarity, peacefulness and happiness. With that, success is easy AND we feel great! Taking the time to discover tools & resources to assist makes SO MUCH SENSE! It’s why this conference was created! We hope YOU will join us on June 23rd! And bring all your fiery inferno girlfriends with you! It’ll be educational, inspirational & FUN! GET TICKETS USING THE DROP DOWN BOX ABOVE! 1st 75 registered receive fab swag bag!